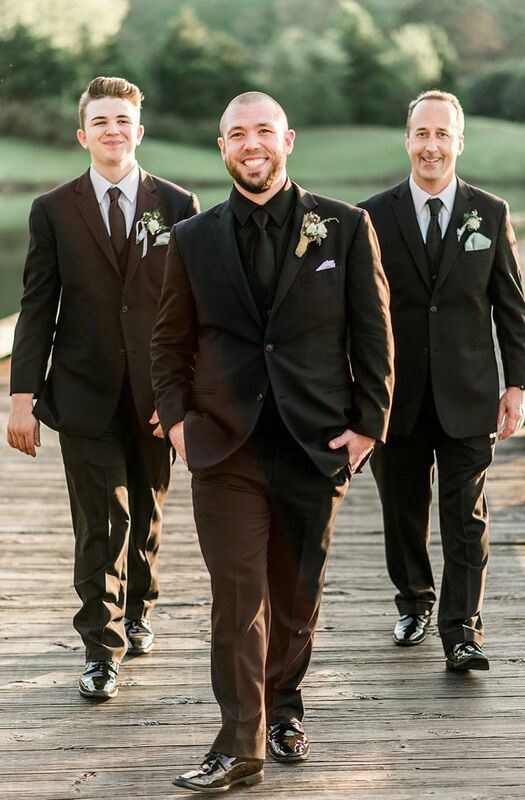 Grooms, if you are wondering what’s on the radar for your attire in 2019 we’ve got you covered. 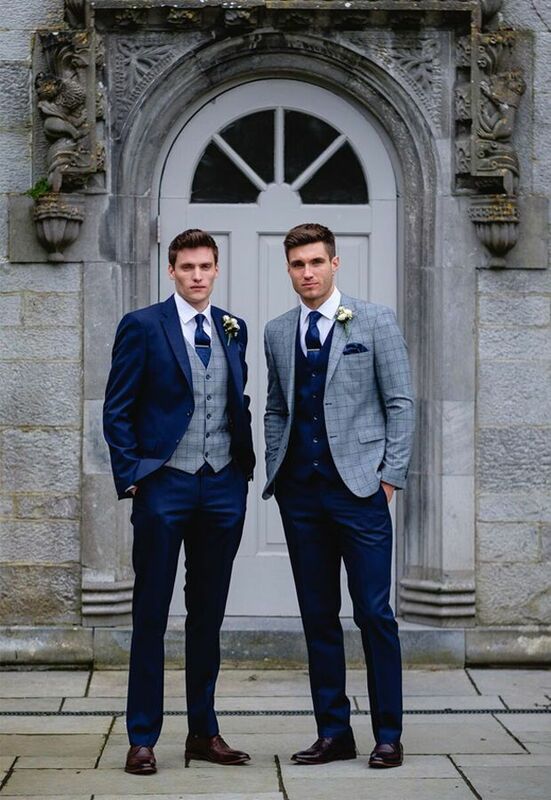 Everything from bold colours to styles and exciting fabrics that will make you look handsome on your big day. 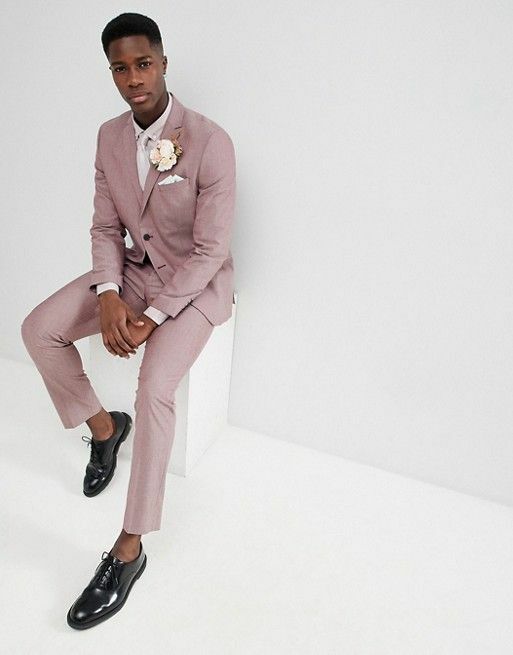 Read on to discover why you have to ‘Look Out For These 2019 Top Trends In Groom’s Attire’. 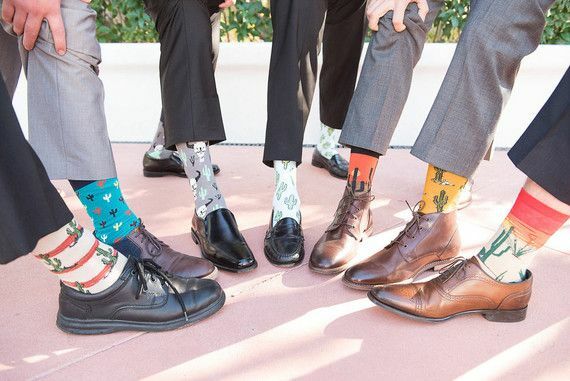 Yes, funny socks are still trending, and they are a great way to show some personality. Don’t miss the opportunity to show yours. 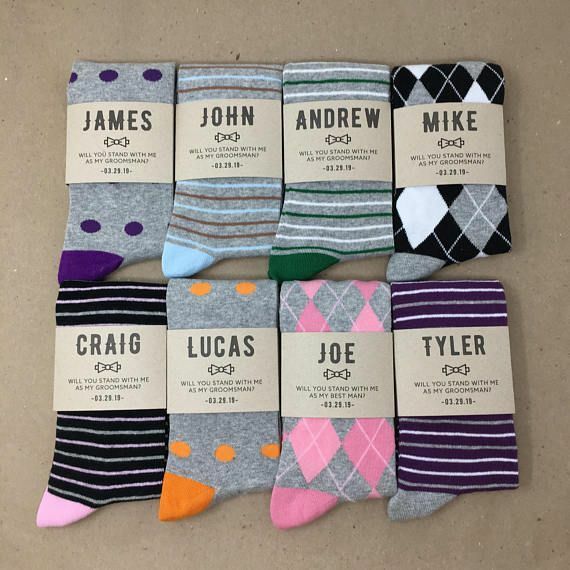 Whether you choose bright colours, movie themed or socks with the logo of your favourite sports team – this accessory is worth a couple of pictures. 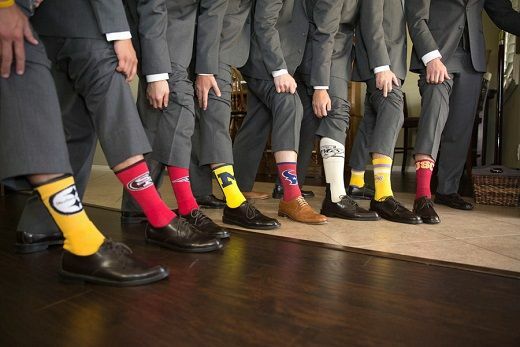 And you can even coordinate them with your groomsmen. 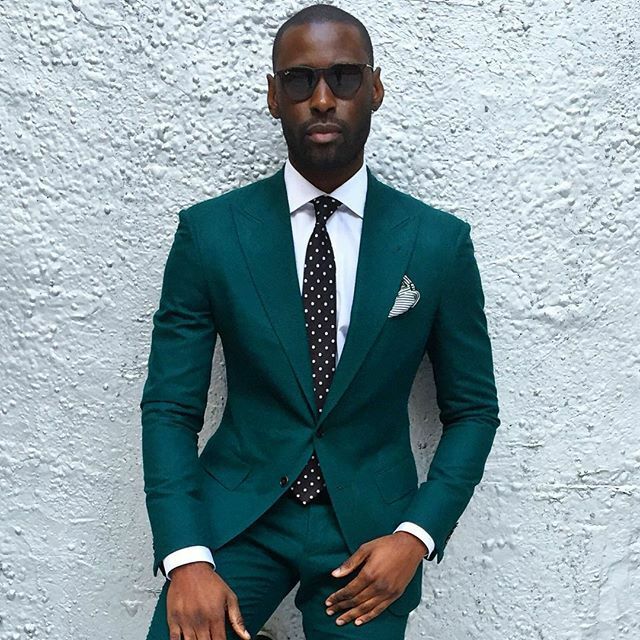 The classic three-piece suit (complete with tailored vest and matching single-breasted jacket) is back in vogue for 2019 – a trend we really love! 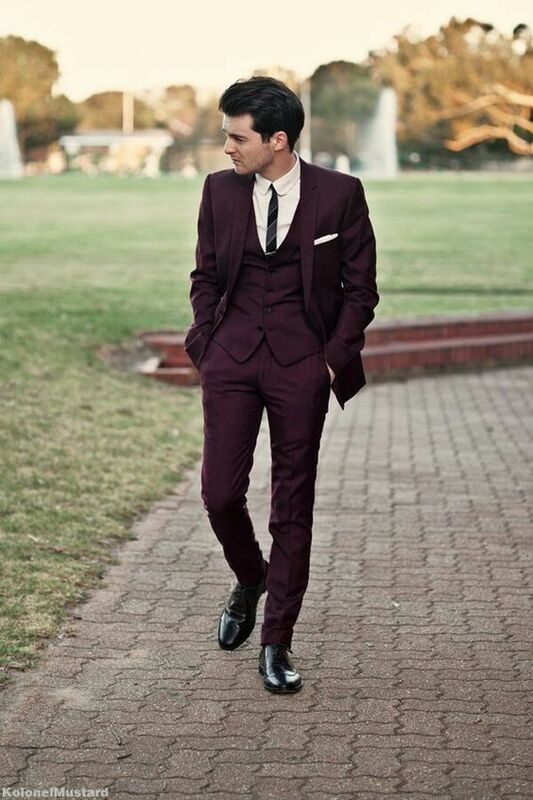 This suit is effortlessly stylish & contemporary and therefore absolutely perfect for your luxury dream wedding. After the formalities you can take off the jacket and create a cool, relaxed look with pushed up shirt sleeves. 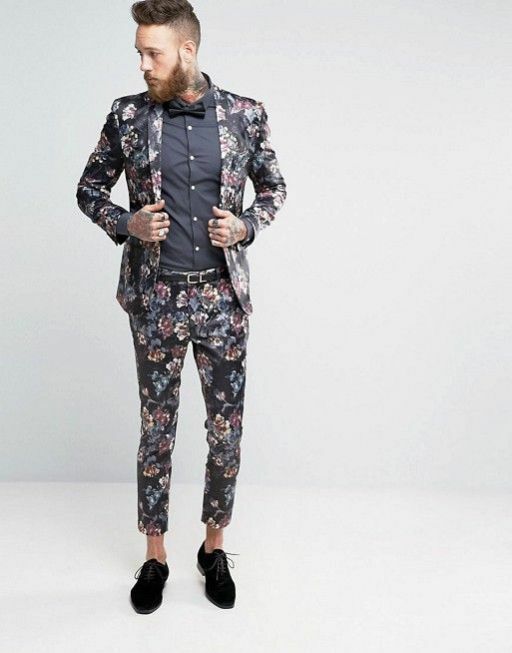 These are the buzzwords for the stylish and modern man in 2019. 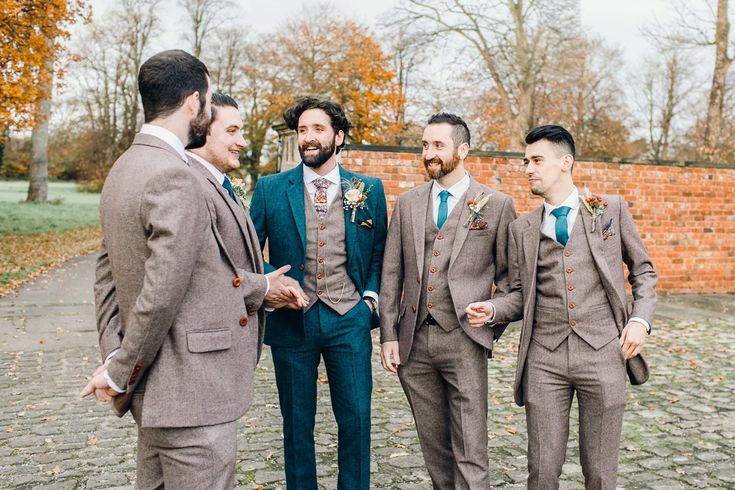 Throughout the last number of years, we’ve seen grooms taking chances with the colour and pattern of their suits, ties and shirts. 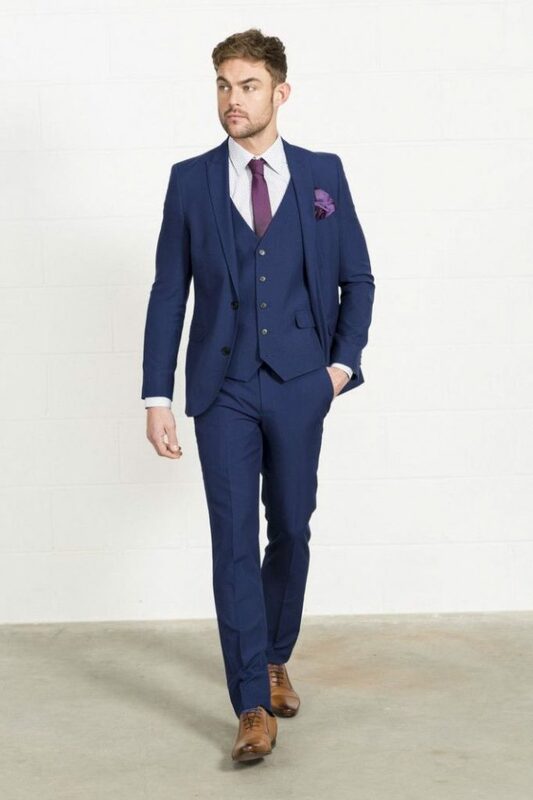 And this year the grooms will take their attire to the next level with vibrant shades from purple to various blues and intriguing patterns. 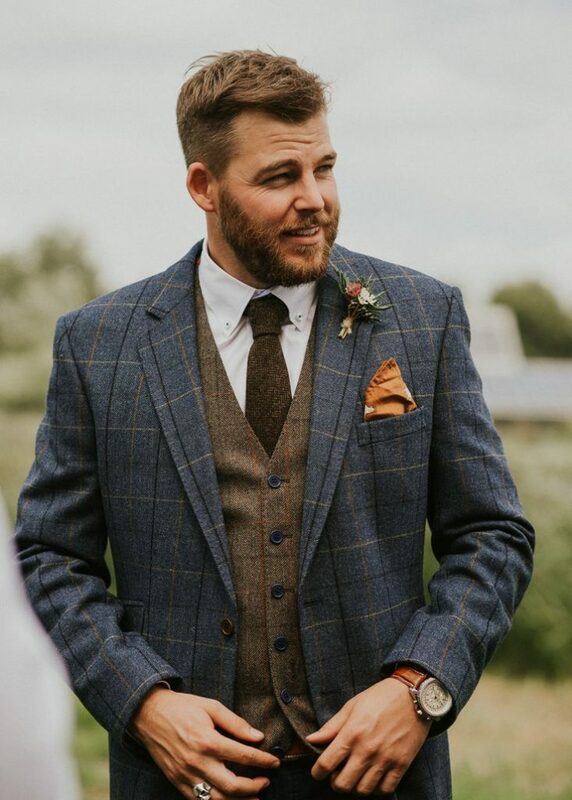 Thinking of Tweed may bring up images from your grandparents or a stiff professor in the 1960s, but this fabric is going to be big in 2019. It is just the right look for those planning a vintage-inspired rustic outdoor wedding. 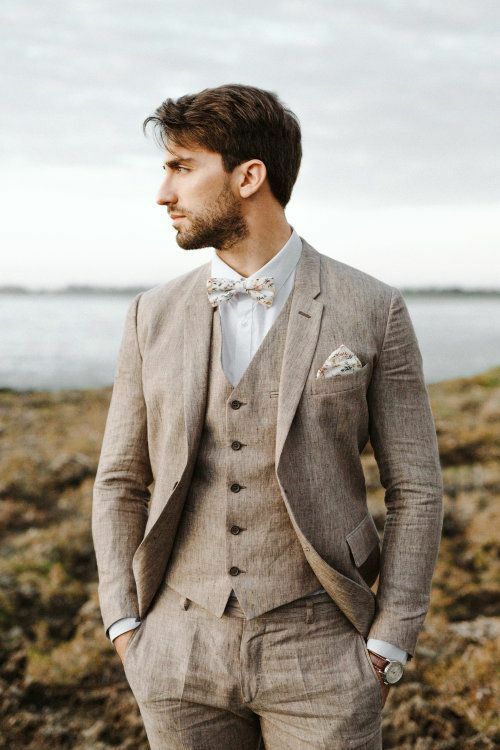 If a complete tweed suit is not for you, you could just easily pick a waistcoat or jacket. 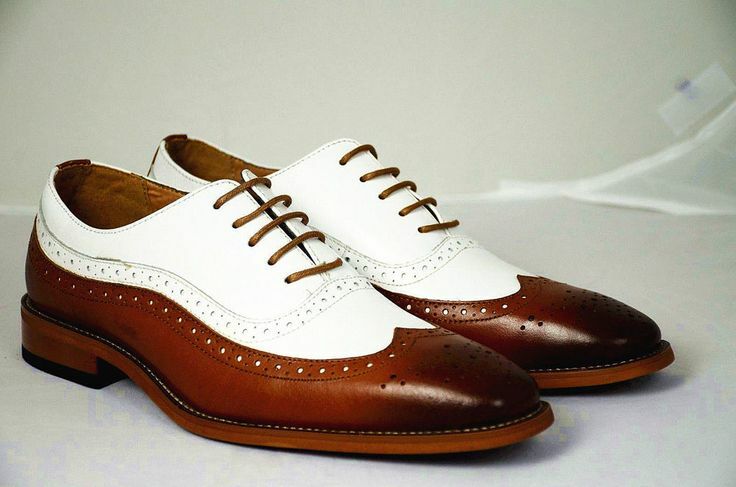 Wearing cool sneakers with your suit is a previous and weakening trend. 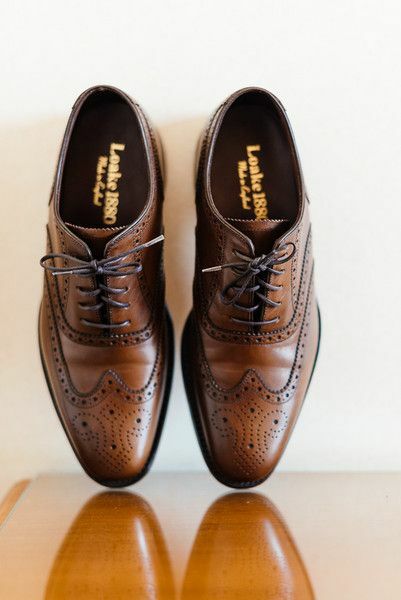 Instead you should opt for elegant and classic dress shoes to match your outfit. 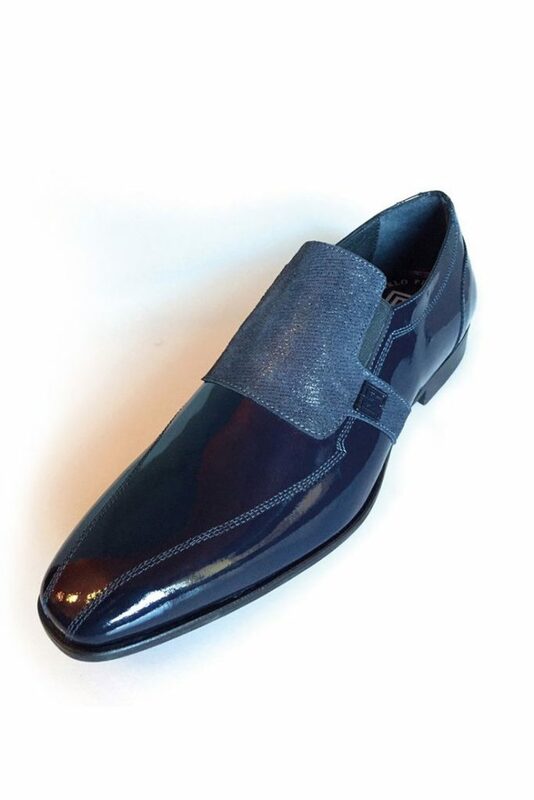 Colours are prominent here as well so treat yourself to a bolder colour like navy blue. If a rustic vintage wedding is not your style than this is for you! Flannel is a soft wool fabric with a thick, luxurious appearance. Therefore, it is perfect for a glamorous and elegant wedding. We know we mentioned radiant colours for this year’s trend, but the classic monochrome wedding style of black & white is just too good. 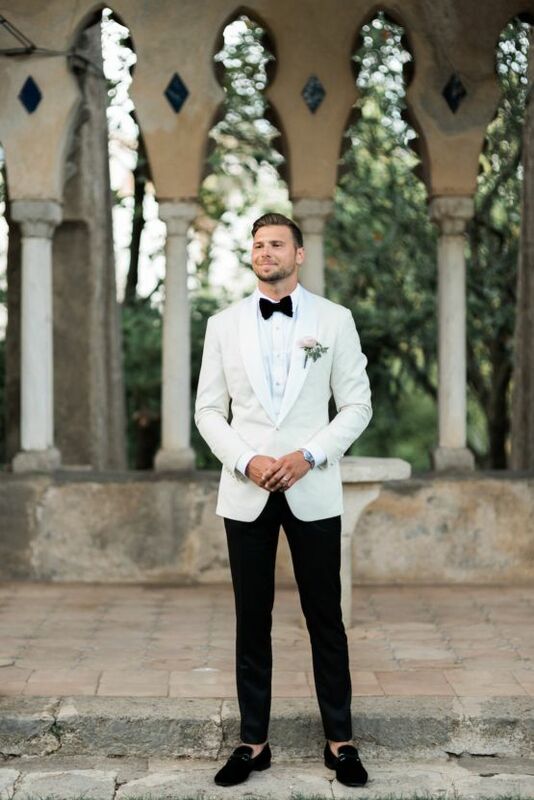 This simple and perfect combination can be incredibly effective and looks elegant and glamorous – especially for the groom’s attire. 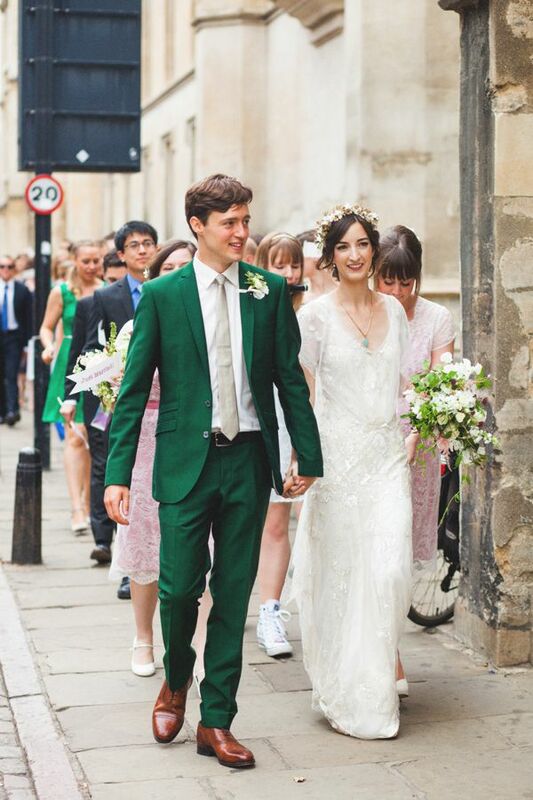 Mismatched outfits are not only for the bridesmaids! 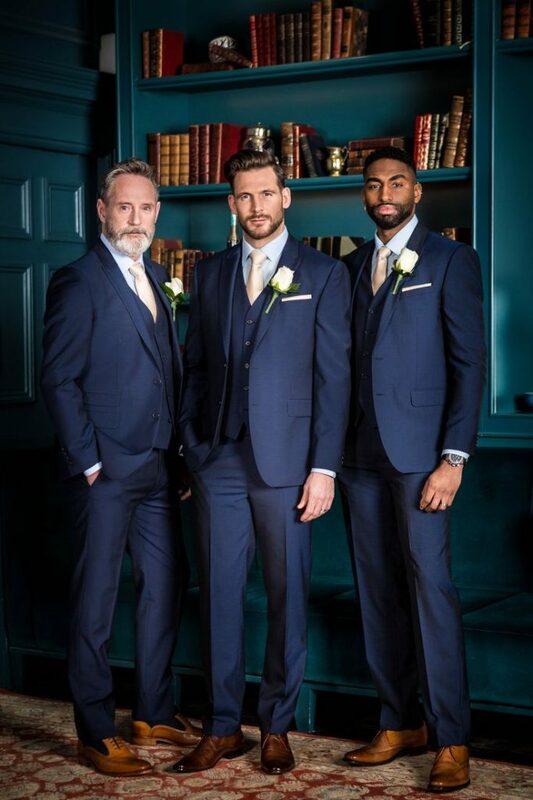 Create a stand-out look for the men’s wedding party by introducing a selection of shades and styles. 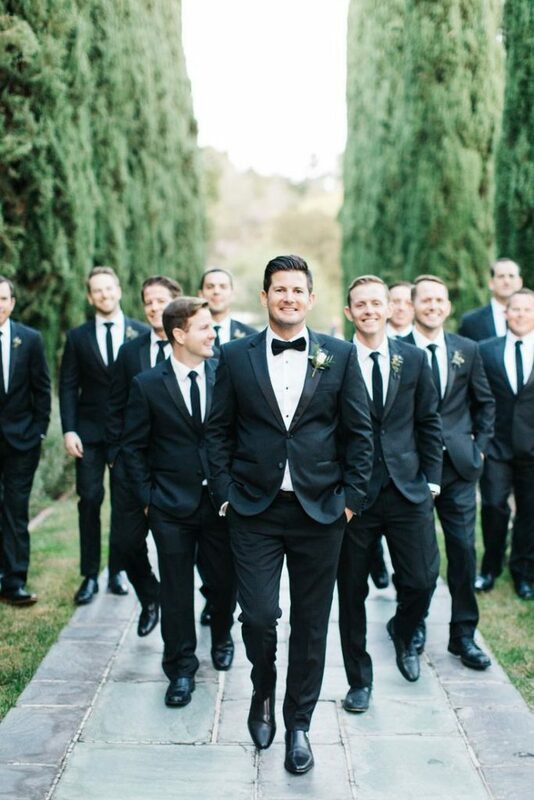 A strong and cohesive – yet individual – look for the groom and groomsmen with subtle differences. 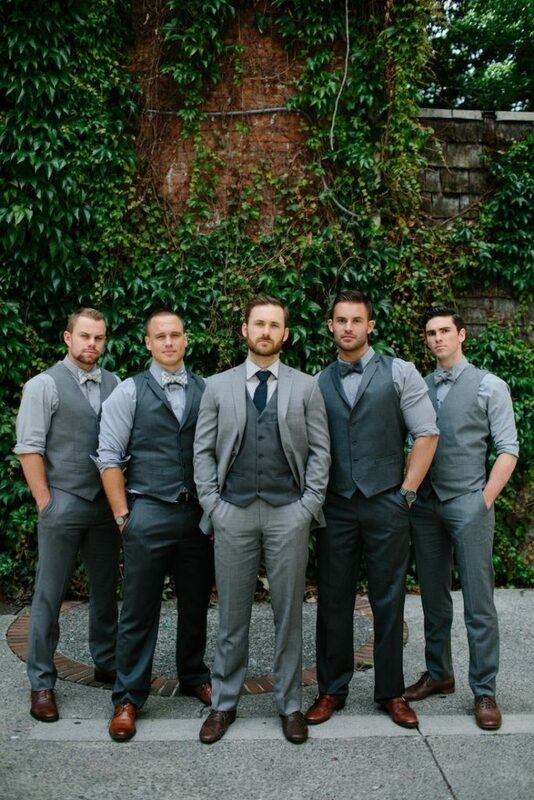 An example: the groomsmen’s ties match the groom’s or his waistcoat or suit. 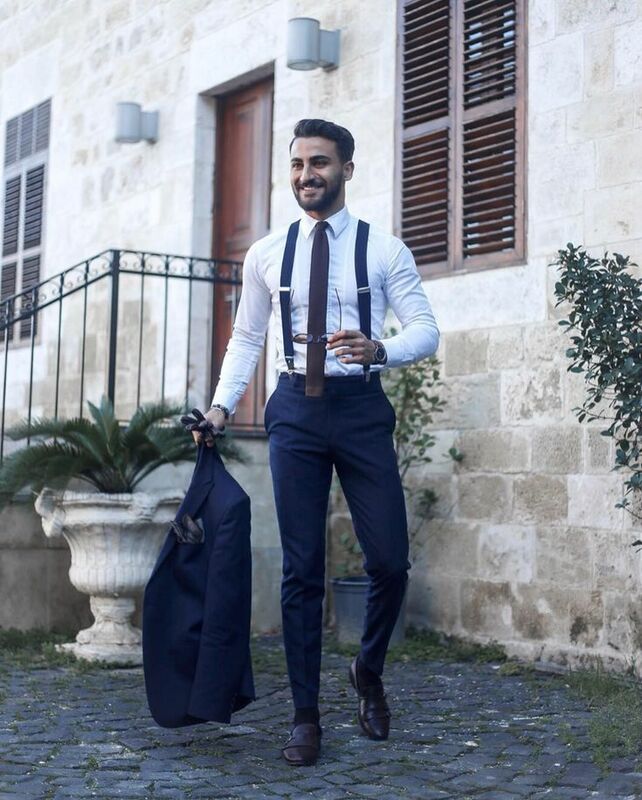 Last but not least: this year it’s all about slim fit from top to bottom. Straight or tapered trouser legs and slim jacket are a must have. A loose-fitted shirt might be comfortable, but you want to look sharp. 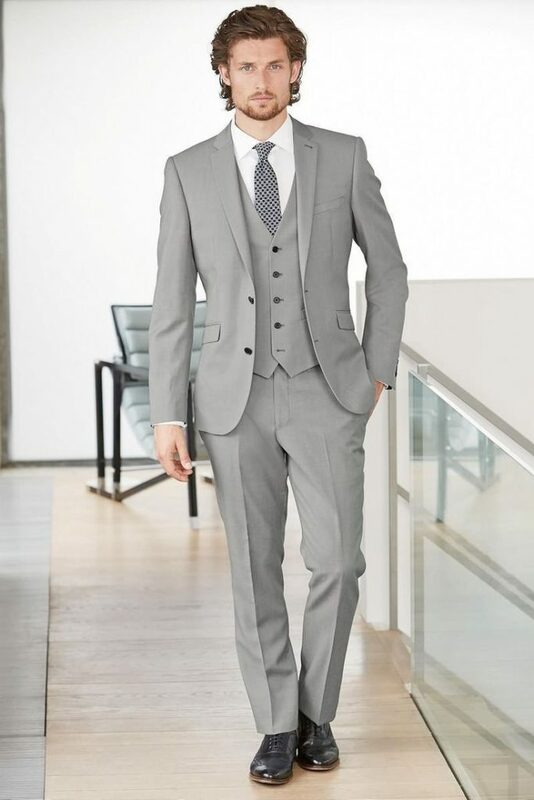 Through emphasising the chest and shoulders this attire will create a masculine & athletic silhouette. We would also like to thank Pinterest as all the displayed photos were taken from several Pinterest boards. 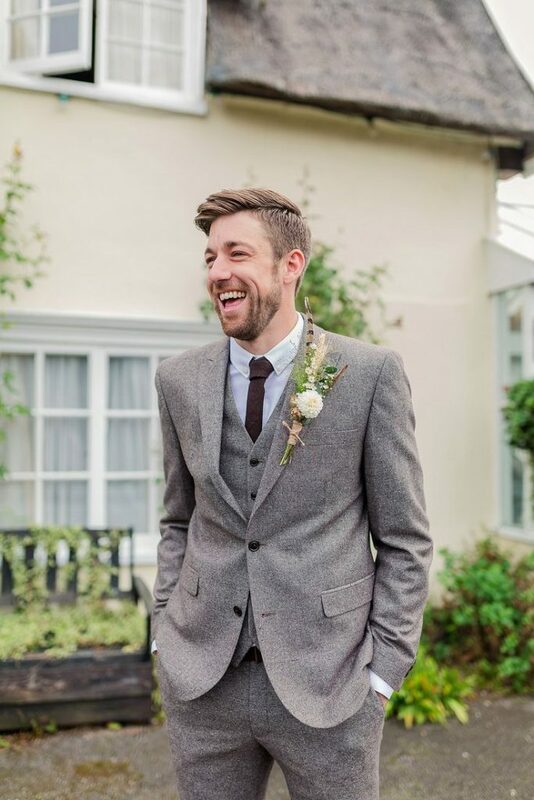 Grooms, we hope you enjoyed our post ‘Look Out For These 2019 Top Trends In Groom’s Attire’. Get in touch with us today – we know how to make your dream wedding perfect and trendy!